In the wake of the political assassination of nine African Americans in Charleston, South Carolina, on June 17 by a white supremacist, racial tensions remain high. Since that incident, seven Black churches in the South have suffered fires, recalling many such incidents in the past. The domestic act of terror at a historic African-American Church in South Carolina has quickly been branded as a “hate crime” by US officials, and the white man who perpetrated it is described as a “troubled” person who was otherwise “sweet and quiet”. 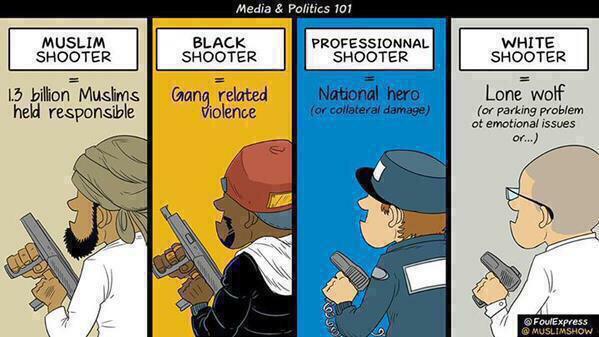 This is a predictable media narrative has to many for whom the racist and white supremacist motives behind the killing are transparent.